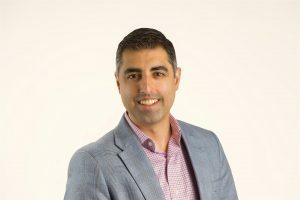 A native of Berkeley, California and a five-year San Francisco resident, Nima Rahimi is an attorney, community organizer and immigrant rights advocate who volunteers his time on the boards of non-profit organizations like the Iranian American Bar Association and Pars Equality Center’s Generation Plus. He serves as a Commissioner on the San Francisco Immigrant Rights Commission and as an elected delegate to the CA Democratic Party, where he sits on the Resolutions Committee. He cites the future of the Iran nuclear deal and the Trump travel ban as two of the most significant issues facing the Iranian-American community today. He remains committed to his contribution to IABA-NorCal’s work on these and other issues confronting immigrant communities locally and nationally. Nima is a graduate of UC Davis School of Law and UC Berkeley.